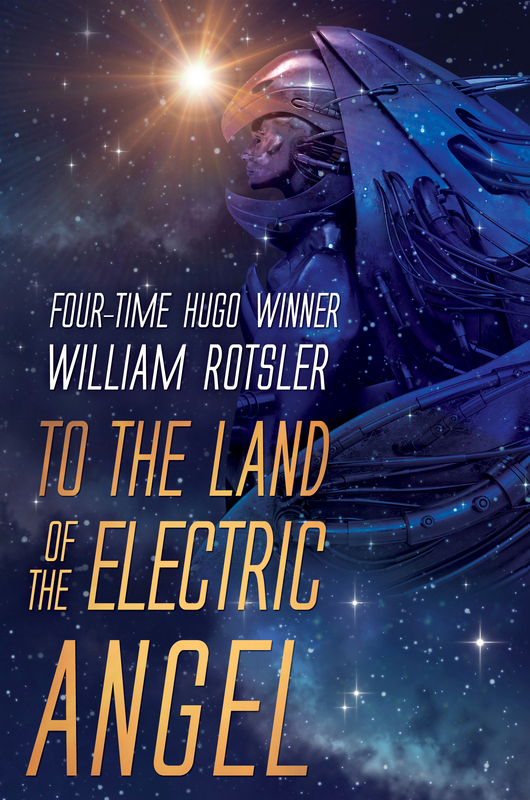 There is a saying that everything old becomes new again, and if To the Land of the Electric Angel by William Rotsler is anything to go by, then this is a very good thing. From the first page, Rostler’s prose demands instant comparisons to Heinlein and Simak. This is world-building on the run; there are no info-dumps in this novel as we follow the hero, Blake Worthy, on a tour of the near future. Hedonism is the rage, but Blake is the exception, a designer of environments (an “environmentalist” in the lingo of the day; a nice touch). People pay top dollar for Blake to design for them whatever they want, but Blake is becoming bored with the totally unfettered, no holds-barred sexuality of his world. He rubs (bare) shoulders with the super-rich. Familiarity breeds contempt, as it is wont to do. Blake, a fairly asexual man himself, sees more than he wishes to see when he takes on a very strange commission for one of the richest men in the world. This catapults us through an unlikely series of events to approximately one hundred years from where Blake was hired by his new affluent partner. Blake becomes a character we have seen before, from Rip Van Winkle to H G Wells’ sleeper. He sleeps, he wakes, he somehow becomes the unintentional cornerstone of a worldwide revolution. So much for plot. The true value of this novel lies in Rotsler’s manner of telling, which constantly harkens back to science fiction’s golden age, even while his concepts are distinctly 21st Century. This lends the story an air of retro-futurism even as the modernity of the concepts ground it firmly in the present. This is an excellent way to tell a story and feels very new and refreshing. The novel uses time travel to explore humanity’s cyclical nature, showing us how if the pendulum swings too far one way it ultimately swings too far the other way. The hedonistic, overly-sexual society that judged Blake a prude transforms over a century into a prudish, repressed society that judges Blake a hedonist. It’s here the author shows us an ultimate truth, and we see that Blake is an outsider wherever he goes—and while societies are formed by individuals, no individual will ever completely fit into the world they immerse themselves in. In this future, Blake, the rich man, and a handful of friends find themselves in a world where morality has come full circle: the hedonism of the past replaced with scripture and prudery. This theme carries through the book, with Blake more than once encountering parts of life which cause him pause, only to encounter the opposite of them in the future-future, and realising that too much of anything, any extreme, is a bad thing, whether positive or negative. To the Land of the Electric Angel ends in the best golden age tradition: a gladiatorial contest, a slave uprising, and Blake getting the girl. This time, however, there’s also a fight in downtown San Francisco between Mecha-Jesus and Mecha-Satan, so you can’t say you didn’t get your money’s worth.